Recently, I had an opportunity to connect with a new children’s author by the name of Laura Gehl. She wrote a wonderful book entitled, One Big Pair of Underwear. 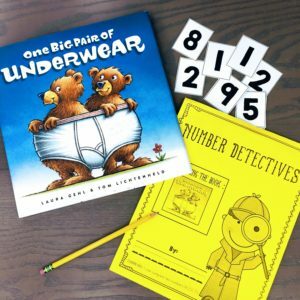 The book infuses counting concepts for primary grades in a way that is fun and humorous. I eagerly took on the task of creating a lesson for a kindergarten class featuring the book. 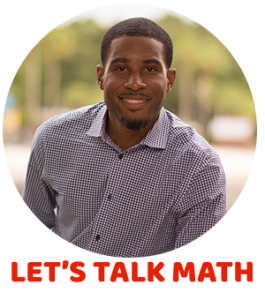 I am excited to share the lesson I did with the kids. As I read the book I noticed that there were several concepts that I could focus on in the lesson including subtracting, adding, one more, one less, comparing numbers, one-to-one correspondence and making ten. For my lesson, I decided to concentrate on comparing numbers using visual models. To begin the lesson, I gathered the class of 25 students on the carpet. Before I read the book to the students, I held up a picture of a detective and asked: “What is a detective?” “What does a detective do?” There were several great responses but one caught my attention. 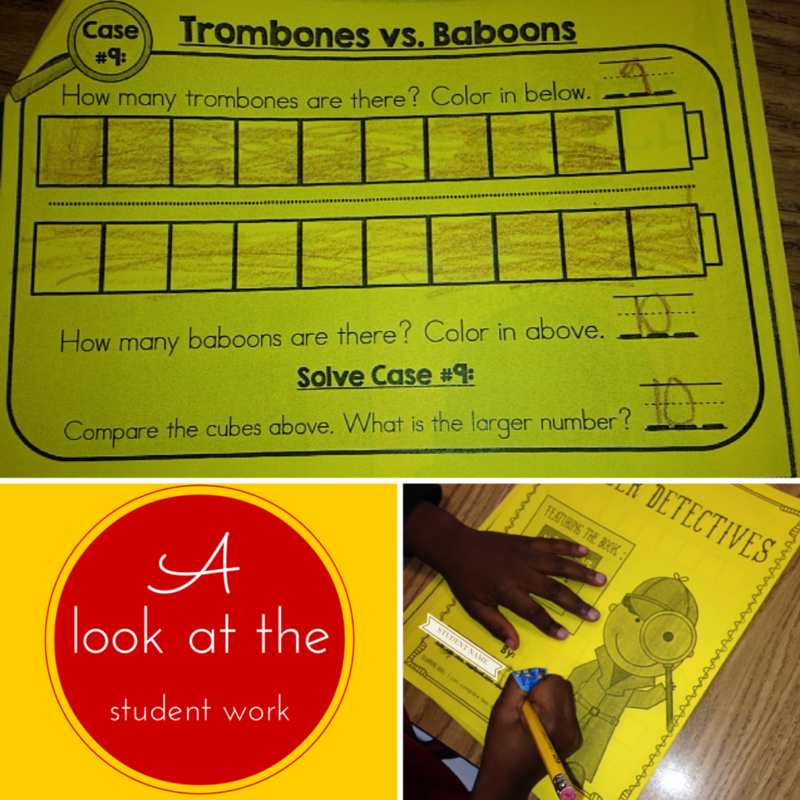 One student stated that a detective finds and discovers things. I then told the students that we will be number detectives and discover the larger numbers in the story. I showed the cover to the students and asked them to predict what the book would be about. 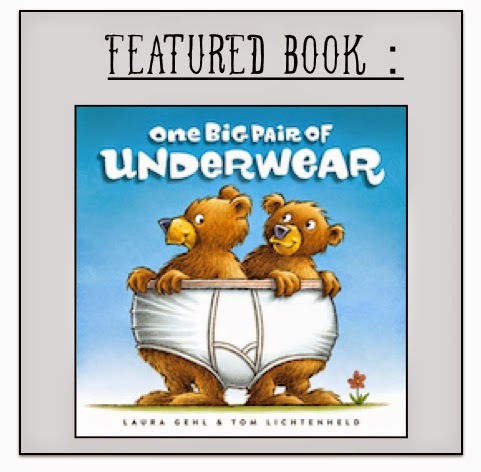 Many of the students believed that the book was about bears and underwear based on the picture. I began to read the story and the students were instantly hooked. As we continued through the book, they noticed that one animal was always left out. 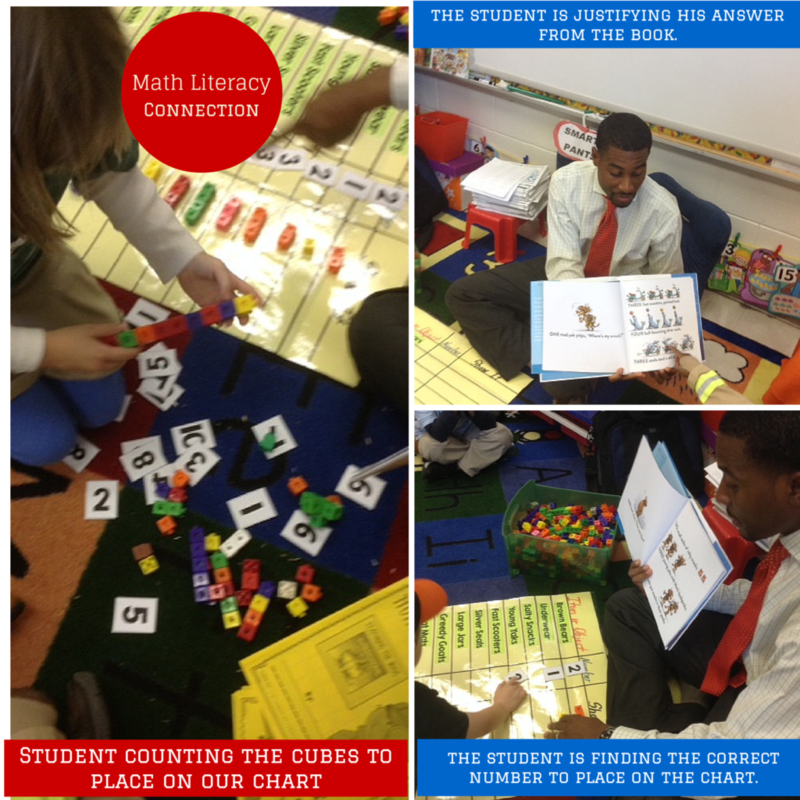 After reading, the students used a chart I created to identify the correct number of objects in the story and then represent that number using connecting cubes. After students built the numbers, their classmates would give them either a Thumbs Up or a Thumbs Down and explain why they agreed or disagreed with the representation. This process allowed us to have interesting conversations about numbers and how some numbers are bigger than others. By the end of our class discussion, we created the chart below. I asked, “What do you notice about the cubes?” One student said, “Five is less than ten” and I asked them to prove this to me. Another student pointed to the 4 cubes by the seals and said it is one more than the 3 cubes by the scooters. I also asked students did they see anything that was the same. The students made great discoveries about the numbers 1 through 10 using this book. 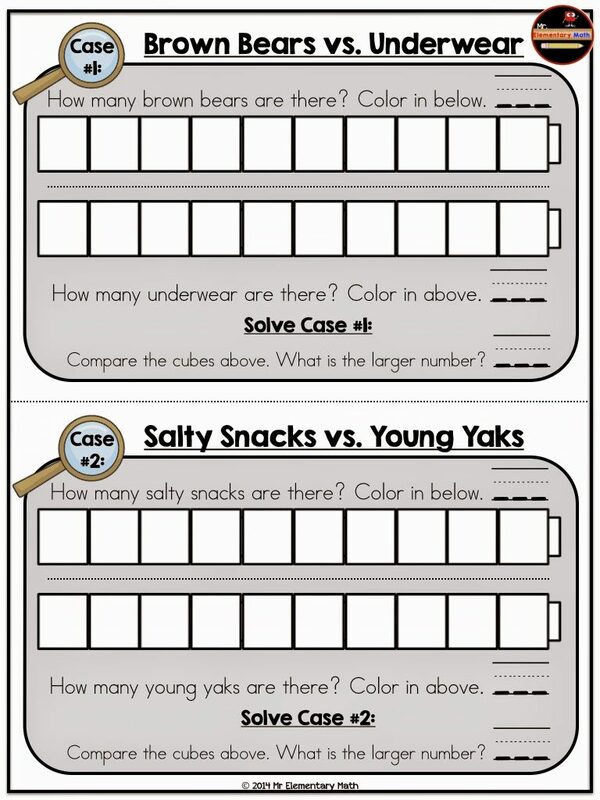 Lastly, each student completed a comparison activity using the Number Detective booklets that I created. Check out some of their work. 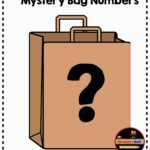 Click here to download the free Number Detective booklet. Overall, this was a great lesson because the students were engaged with the wonderful illustrations, rhythms and numbers in the book. 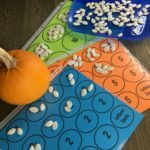 I was also able to teach the important math concepts of comparing numbers and one-to-one correspondence through literacy. I would like to thank Laura Gehl for allowing me to feature her wonderful book on Mr. 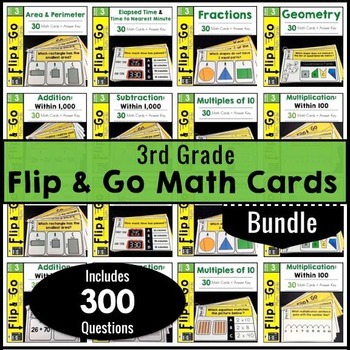 Elementary Math and donating an autographed copy of the book for one lucky reader. 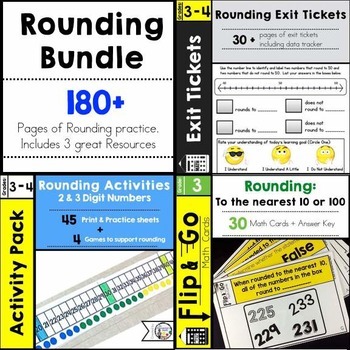 Please check out Laura’s website for free math activities that align with the standards. 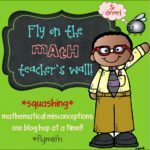 And for even more activities, The Math Maniac wrote a great post about using the comparing model to teach subtraction. Love how you used this book! What a rich text! Thanks so much Tara! I really enjoyed reading your teaching ideas for One Big Pair of Underwear. Would you believe I have this book sitting on my desk to use the week after Thanksgiving! And now I have a wonderful lesson to go along with it. My lucky day! That is a best compliment an educator can receive. Thank you! Please come back and post to let me know how it went. This would be great for an observation that I have coming up sometime soon. I am so happy to hear that! 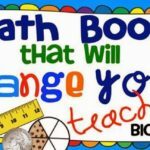 There are some other great ideas on how to use this book on Laura's website and in The Math Maniac's post. I linked both websites in my post. Thank you! 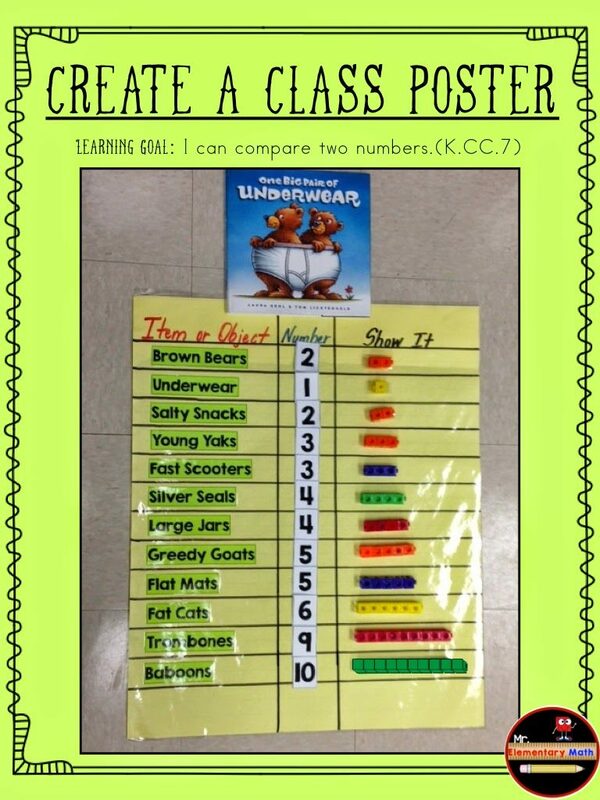 Such great ideas for using One Big Pair of Underwear in the classroom! Thanks, Greg! Thank you Laura! I knew from the first time I read this, it was great. 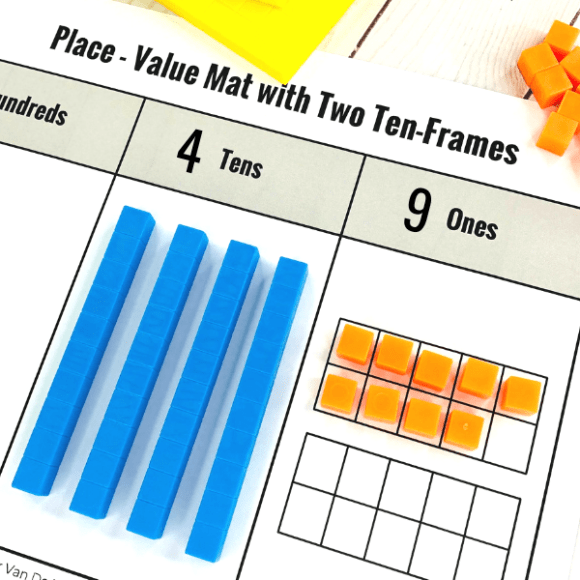 Several math teaching ideas started to flow through my head. I really enjoyed this experience.